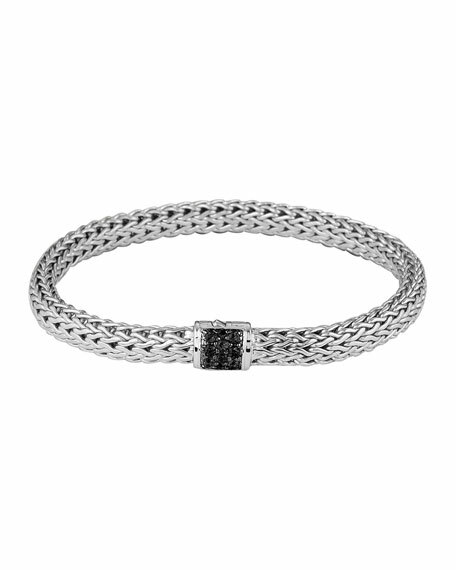 This John Hardy bracelet boasts an effulgent sterling silver construction that lends opulence to the collection's signature woven chain. Sterling silver woven chain construction. Rippled push clasp closure with pave black sapphire.